Found one file extension association related to Red Eye Pilot and 1 file format developed specifically for use with Red Eye Pilot. 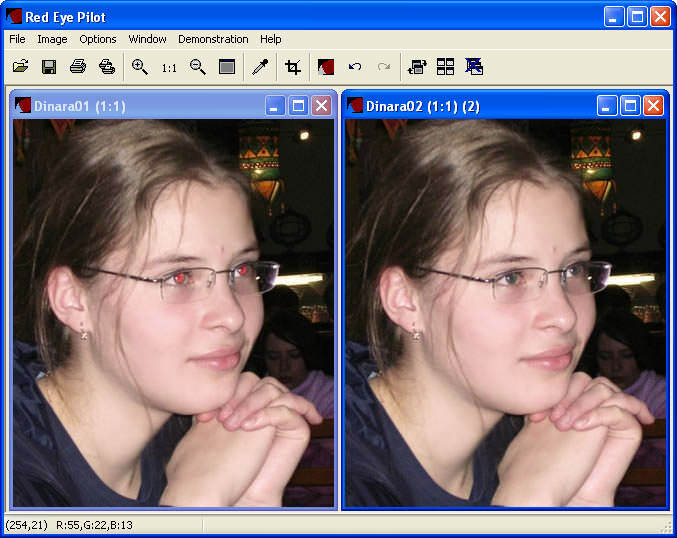 Red Eye Pilot is a program for removing red eyes on photos that allows you to adjust the pupil area and brightness, and preview the results real-time. The program also keeps structure of the pupil. Red Eye Pilot is also capable to fix "mis-colored" eyes in photos of pets. If you need more information please contact the developers of Red Eye Pilot (Two Pilots), or check out their product website.